No scrap card today. :-/ Between football and stamp club coming up next week, I had to be focused on doing those projects. I wanted to do a cute little Halloween card using the Halloween Happiness stamp from the Holiday Catalog. I kept it pretty simple, but I think it's adorable. Super cute -- The card and the toddler! 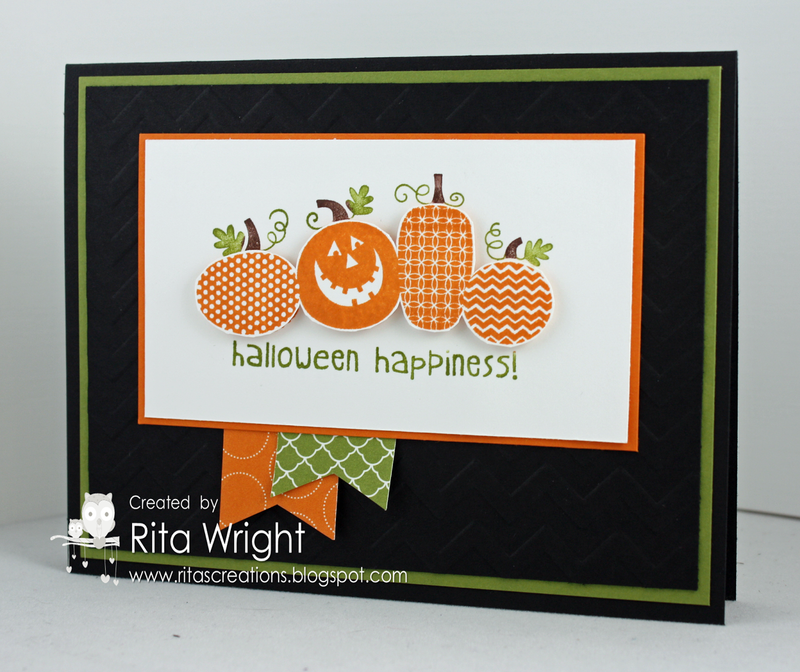 I love the embossed black card base -- it really makes the pumpkins pop. Fantastic card & adorable little girl!